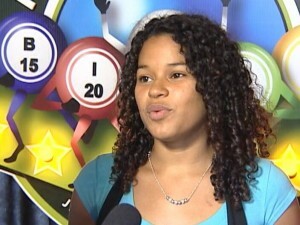 Home » Miscellaneous » Mega Bingo is the Game: 3 more persons win Jackpot! As the advert says MegaBingo is the game and its jackpot is hot. 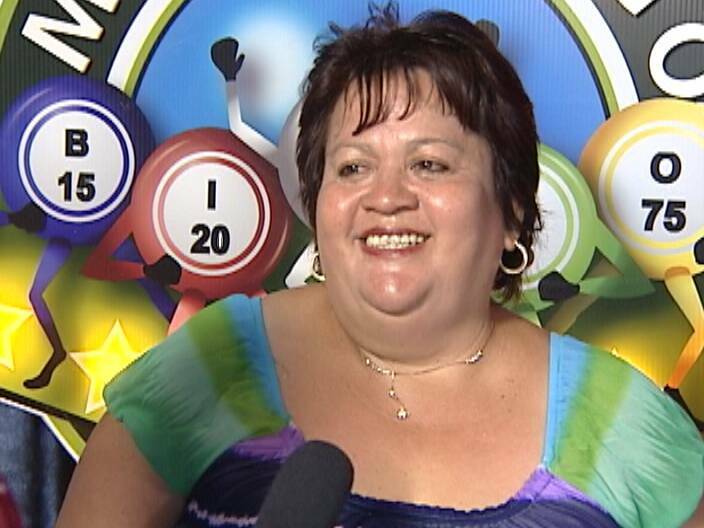 A Hopkins resident on the day she received her eviction notice won the jackpot of over one hundred thousand dollars last Saturday. 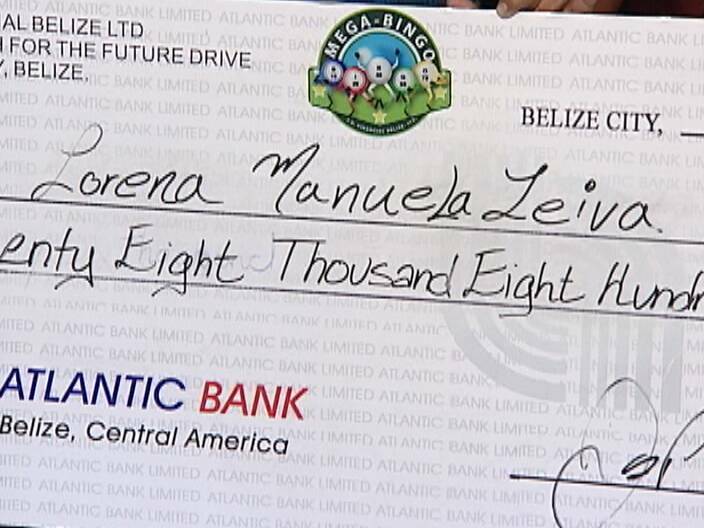 A week later, three lucky persons won and will share the prize of one hundred and one thousand nine hundred and eighty-two dollars. 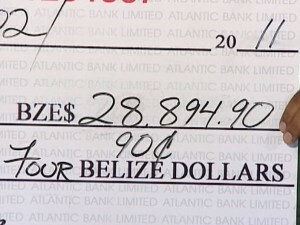 That’s almost thirty thousand dollars each after taxes. 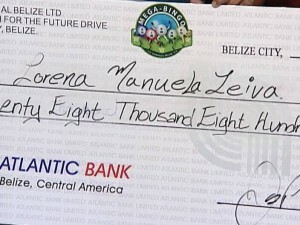 Lorena Leiva travelled from the Orange Walk District today and was the first of the winners to claim her share of cash. 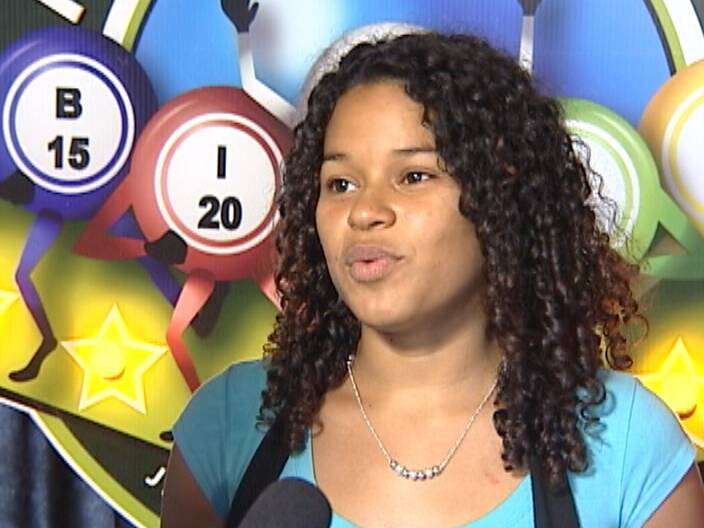 News Five spoke to Leiva as well as the new MegaBingo host, Rachel Armstrong, who was excited to have three winners on her first night. 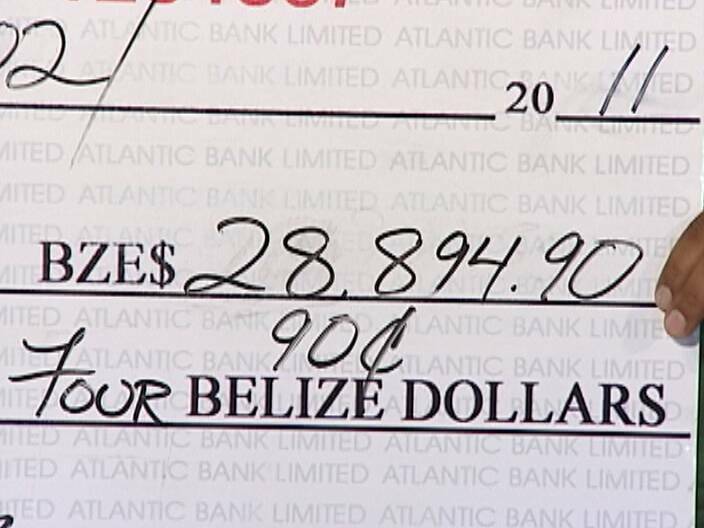 The other two winners are from Belize City, but have not yet showed up to claim their share of the prize. If you missed the live show, tickets can be checked at any MegaBingo outlet. Where can you buy these tickets????????? Yea….where can tickets be bought??? 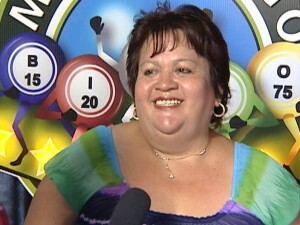 playing bingo is just a part time fun, i prefer to work i will be more happy! what are the bingo numbers for winning progressive jackpot… any body know!? So the govrnment got their share right off the top, but the winners still have to pay taxes as they make purchase with the balance of the money. See the game government plays?Tax, tax, and more tax. The money that they used to buy the ticket was tax already when they earned it.All govrnments are rip off artists as far as I’m consern. Serious. government pure rip off, especially for we the poor people. Ah, believe Shock. don’t go blaming the government for everything thing, yes! tax n more tax, there is also tax payers employees, don’t hate appreciate! Mega-Bingo is d GAME!!! !